I am a HUGE fan of PHLUR fragrances. Why? Because they smell natural. They are in fact natural scents. PHLUR claims to use natural materials when making their scents and you can tell in the final product because their scents are definitely different. They are in fact more realistic than other scents are. Today I want to introduce you to one of their newest scents called Améline. It is an Eau de Parfum that comes in a 1.7 fl.oz./50mL bottle. Améline Eau de Parfum is a light floral scent that reminds me of femininity, grace and glamour. It is a rose scent but in a new form. PHLUR describes it as a new concept of rose. 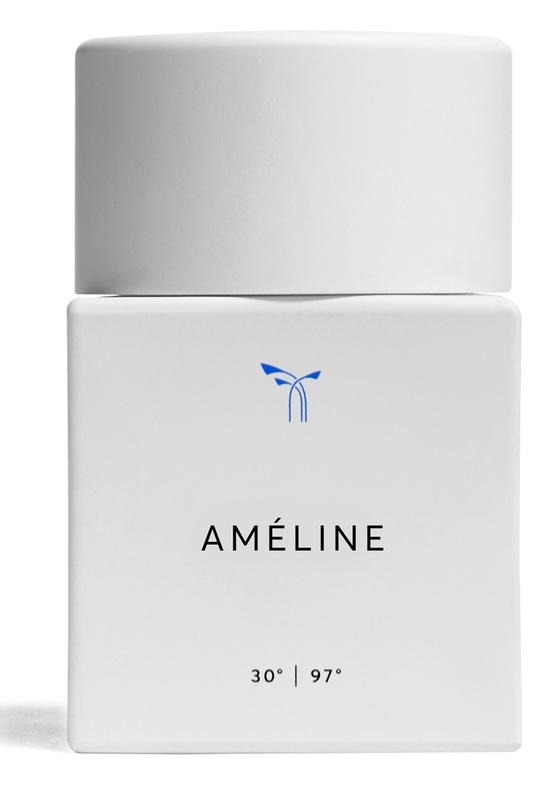 Améline owes its unique and complex presence to notes of rose (of course), sparkling top notes of Italian bergamot, plus pink pepper and hints of patchouli and sandalwood. It could be worn by a man, but only by those who want a lot of compliments! I find that it is the lightest scent they make. It is pretty and feminine all at once and beautiful too. It reminds me of a little bit of Joy but with less rose and more bergamot. This scent is hypoallergenic, cruelty-free, vegan, sustainably sourced and packaged with recycled materials. PHLUR doesn't use parabens, phthalates, BHT, phenoxyethanol and nitro musks. This would make the perfect gift for anyone this season. It is definitely a wonderful gift for any woman who loves fragrance, especially light florals. If you are not sure what to get, you may purchase a sample of the scent or a gift card to PHLUR. That way she can choose what she wants herself. PHLUR Améline Eau de Parfum is available online from www.phlur.com. Like PHLUR on Facebook:https://www.facebook.com/Phlur/; Follow PHLUR on Twitter:@phlurfragrance;Follow PHLUR on Pinterest:https://www.pinterest.com/phlur/ and Follow PHLUR on Instagram :https://www.instagram.com/phlur/.